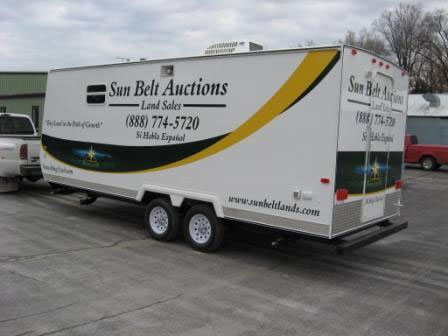 Gallery of auction trailers and truck toppers for sale with exterior graphics. 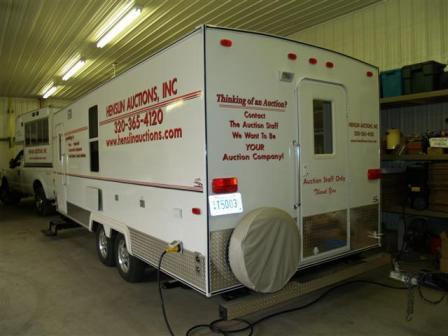 Kuntry Kustom RV has over 15 years experience building truck toppers and auction trailers for the auction industry. 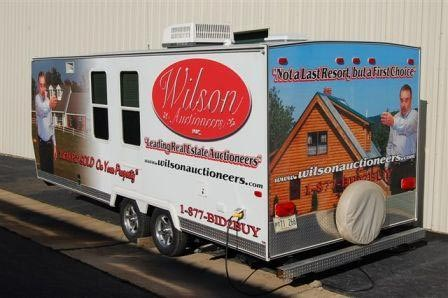 Over that time, we have built a large number of trailers and have included some in this gallery of auction trailers and truck toppers. 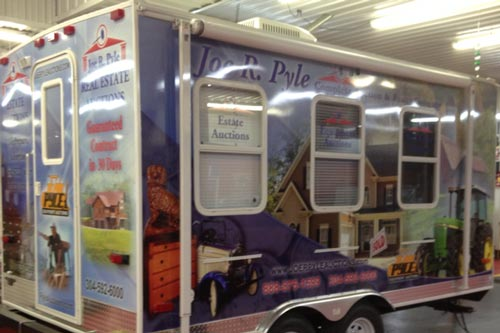 Additionally, our products have been used by a large number of professional auctioneers for years in the industry. 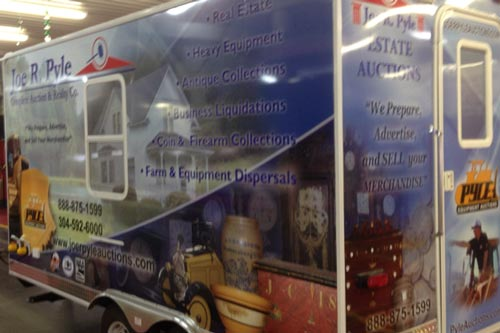 Below are some of the samples of the extensive graphics added to the auctioneer’s auction trailer or auction truck topper. 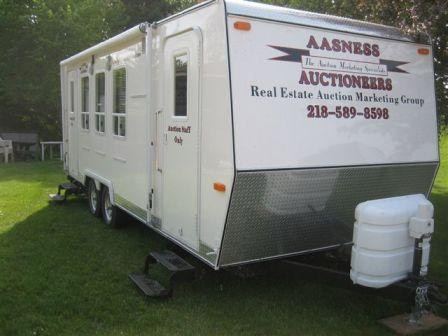 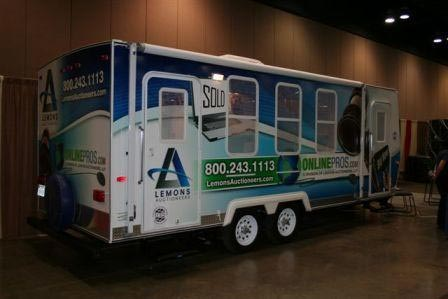 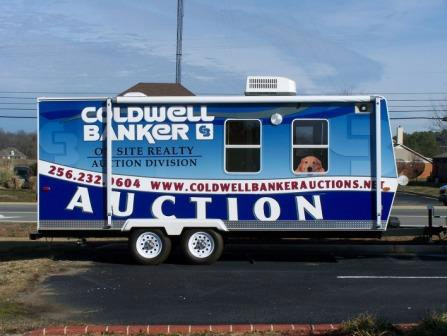 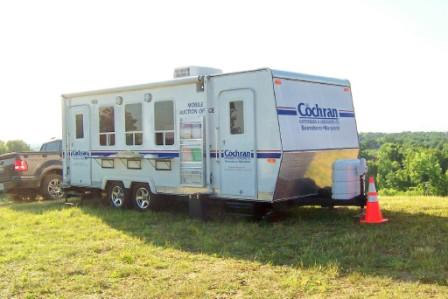 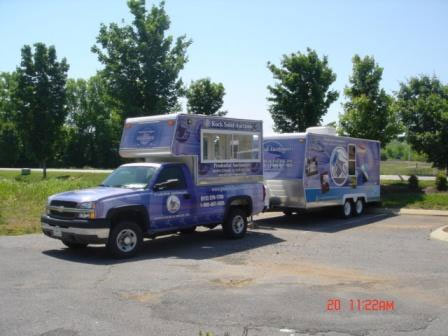 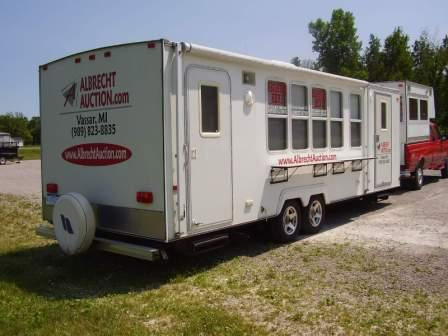 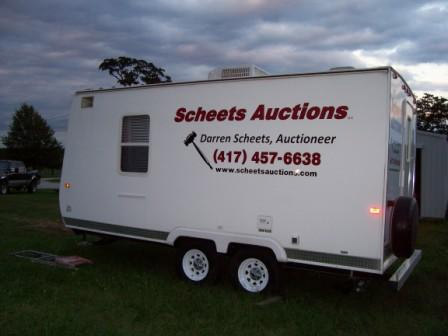 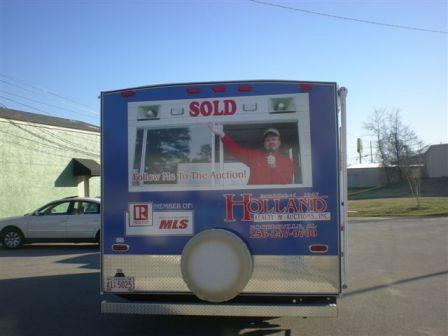 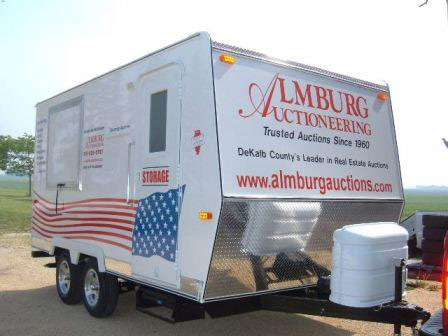 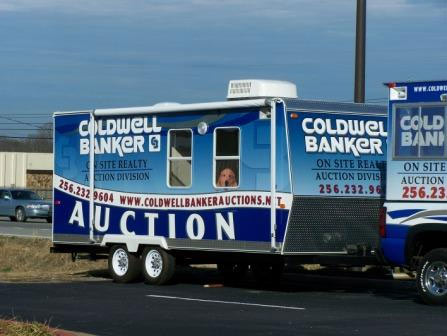 While the trailer is not in use at an auction, it can be positioned near a busy roadway so exterior graphics can advertise the auction business. 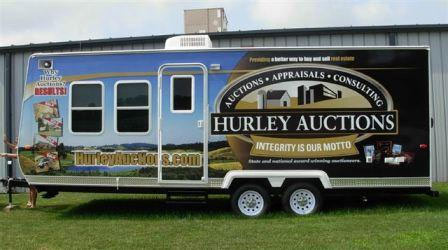 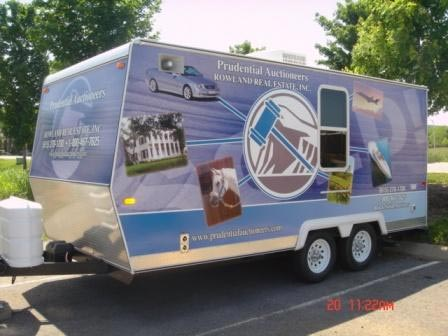 The greater public including potential auction clients will be impressed with the professional looking auction trailer. 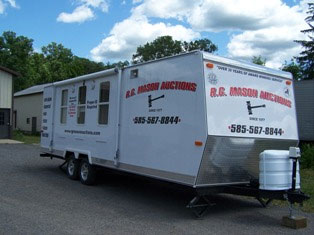 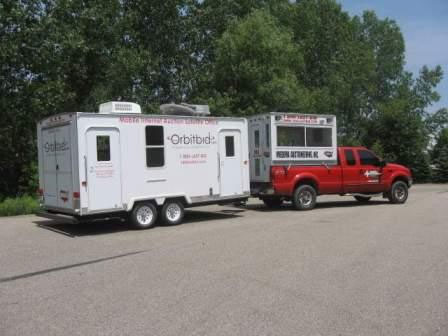 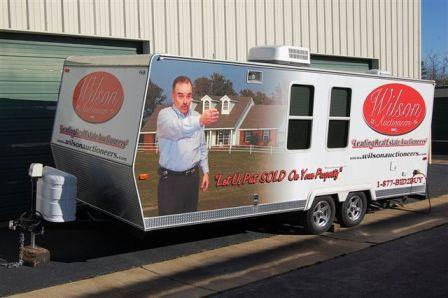 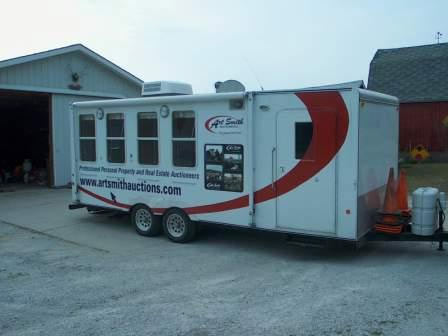 The gallery of auction trailers as seen below shows the wide variety of approaches to branding with auction trailer graphics. 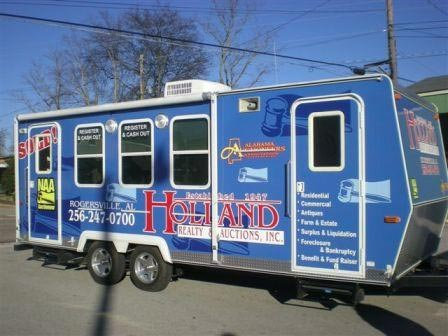 See more pictures of available options on the Cashier Trailers Photos Page or the Truck Toppers Photos Page.